Mt. Calvary Ambulance Service, Inc. is a service rooted in history with a passion for community service and quality care. We believe our employees are an asset to the success of The Mt. 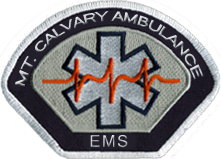 Calvary Ambulance Service, Inc. The Mt. Calvary Ambulance Service, Inc. provides housing in a safe and secure living environment. Currently we house our on call EMT's and Drivers in the same building as our emergency vehicles, in a three bedroom apartment, with shower, kitchen, and living area. Employees have access to phone, cable TV and internet. Typically, on call EMT's and Drivers stay due to their driving distance. Our office is staffed with two full-time employees on-site from 8:00am until 5:00pm, Monday through Friday. We respond to emergency calls 24 hours per day, 7 days a week. Please complete the Employment Application. 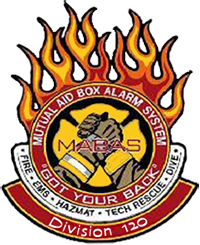 Fax the completed form to 920-753-2319 or mail back to our office. © 2010 - ©2019 Mt. Calvary Ambulance Service & Fire Dept.